You are here: Home » It’s all about Aurasma! Augmented Reality in Education- Shaw Wood Primary School uses Aurasma from Serkan AYTAÇ on Vimeo. Use Aurasma to bring learners’ work and displays to life! Basically, this is what happens when QR codes and augmented reality collide! When the chosen photo is scanned by a mobile device, video footage of the learner(s) discussing, acting or showcasing the work erupts from the page. A school in Loughor, South Wales, developed it further by inviting two previous head teachers to the school and asked them to select 10 old photographs from the school museum that showed how the locality looked in the past. Pupils recorded a film of each head teacher discussing the images which they then made public. Now, with the free Aurasma app on each iPod, any visitor to the school can open the app and hover over the picture to learn more about the history of the local area. We also loved the example in the video above this post. It came from Shaw Wood Primary School in Doncaster. Thanks very much to Mr Carrol and all the children for sharing it. In particular, well done to the first pupil who spoke and explained how it all worked – it was a better description than on the Aurasma site! I think this app is great! I am a primary English teacher in Spain. 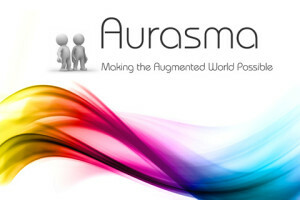 I just came up with lots of ideas to use Aurasma in my class. For example; my students would draw a picture of themselves and I would record them while they describe themselves. After that, they would move around to watch their classmates’ descriptions or we would invite other class from the same level to watch it. Another example is to work with animals and their characteristics. Each student would choose an animal to describe and we would display the animals pictures(cards) around the class. In groups they would have to find some information to fullfill a worksheet.So they would use a tablet/mobile to search for this information in their classmates’ recorders. I am looking forward to using this app and seing how it works. That’s absolutely fabulous! We at Taccle Towers are loving your enthusiasm and ideas. I am going to direct colleagues to your post. Loved your ideas! Don’t forget to let us know how they went – especially any difficult bits where you could provide handy hints to other teachers! And send us any pictures, videos or links of your pupils doing stuff and we’ll post it up. Thanks a lot! This is really an impressive app. I will definetly try it out at school. Thanks also to Maria for your ideas!